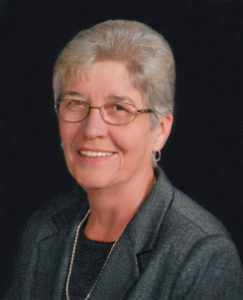 Monday, February 4, 2019 ~ 10:00 a.m.
Nancy J. Egr, 72 of Prague, NE entered into eternal rest, Wednesday, January 30, 2019 in Wahoo, NE. She was born on November 25, 1946 in Wahoo, NE to Frank and Marion (Shanahan) Vaca. At the age of six she was adopted by her aunt and uncle, Ted and Maggie (Shanahan) Schultz. She grew up in Malmo, attended grade school there, and graduated in 1965 from Prague High School. Nancy worked both as a beautician in Wahoo and teller at Security Home Bank. On April 28, 1967 she married Clarence Egr at Sts. Cyril and Methodius Catholic Church in Plasi, NE. She was part owner of Egr Lumber and Supply for 20 years and an order puller at K.V. Vet Company in David City for 15 years. Her enjoyments were being around her family and friends but especially loved being with her grandchildren. Nancy is survived by her husband, Clarence Egr; son, Chris (Karen) Egr of Weston, NE; daughter, Carmon (Troy) Kulek of Gretna, NE; grandchildren, Eric (Bre) Egr, Elliot Egr, Haden Kulek, and Hannah Kulek; sister, Judy Swanson; sister-in-law, Joyce Egr; nieces, Michelle, Cindy and Rhonda; nephews; Bryon, Jason, Dean, Darin, and Danny; other relatives and many friends. She was preceded in death by her parents, mother and father-in-law Frank and Adeline Egr; sister, Loretta Koresky; brothers-in-law, Daniel Egr, Lee Koresky, and Daryl Swanson. So sorry for your loss.My thoughts and prayers are with you and your family. We are sorry for your loss. We really enjoyed being around Nancy. She was always full of life and in good humor. Nancy and Clarence made the perfect couple and Nance will be missed by all who knew her. Deepest sympathy for your loss. Nancy’s smile made everyone around her happy. She will be greatly missed. I am so sorry for your loss. I had the pleasure of working with Nancy and she made this world a better place with her smile and laugh. I was saddened to hear of her passing. Save me a place upstairs Nancy!